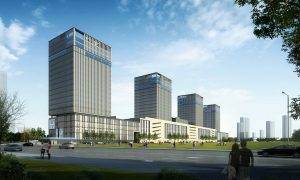 The project that comprises a series of towers rising up from a longitudinal plot of only 3 hectares is located within the ‘Changchun Automotive Economic & Technological Development Zone’. It is close to ‘Changchun International Auto Park’, the biggest auto-theme park in the country, and equally not far from the large-scale commercial complex of Wanda Plaza. 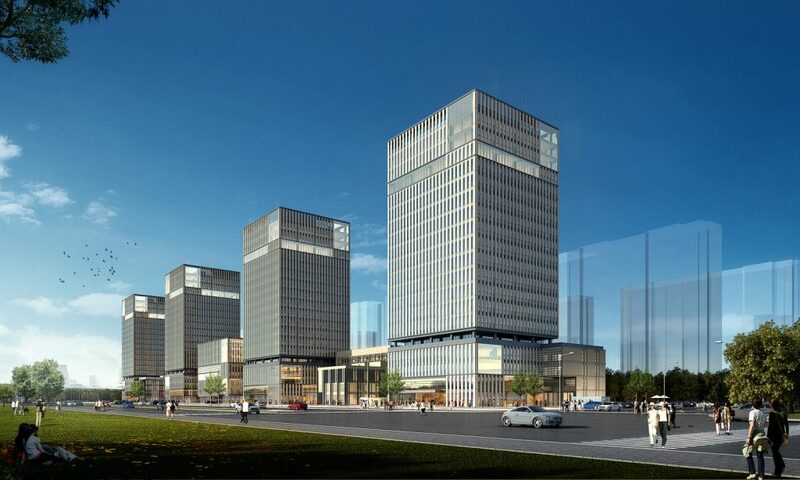 Following an invited design competition, RhineScheme’s proposal was chosen to be constructed. The main requirements were: maximizing the office area, due to a lack of office space in the district, and attracting potential tenant companies, while proposing a reasonable design for the commercial areas and avoiding underground parking. 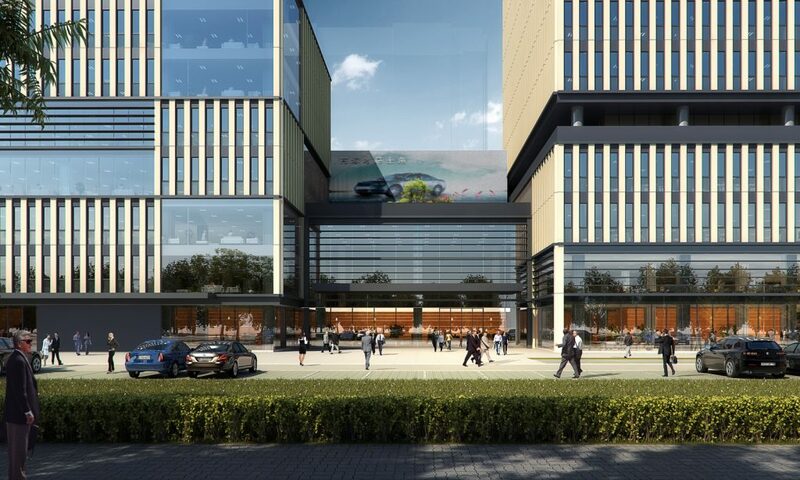 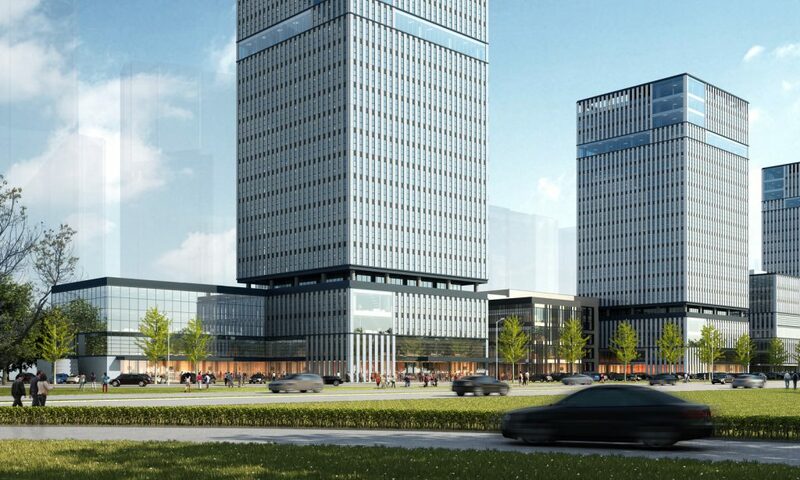 Jilin Huahang Real Estate Development Co., Ltd.
Continue reading "Changchun Hezhong Plaza"
The construction will be realized in two major steps, with the first two stages (82,500 m2) finished. 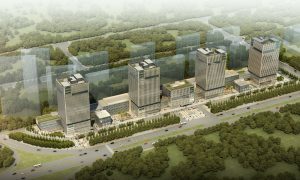 The long and narrow plot (480m x 65m) and its relationship with Dongfeng Avenue with high commercial value have defined the strategy and inspired the masterplan. 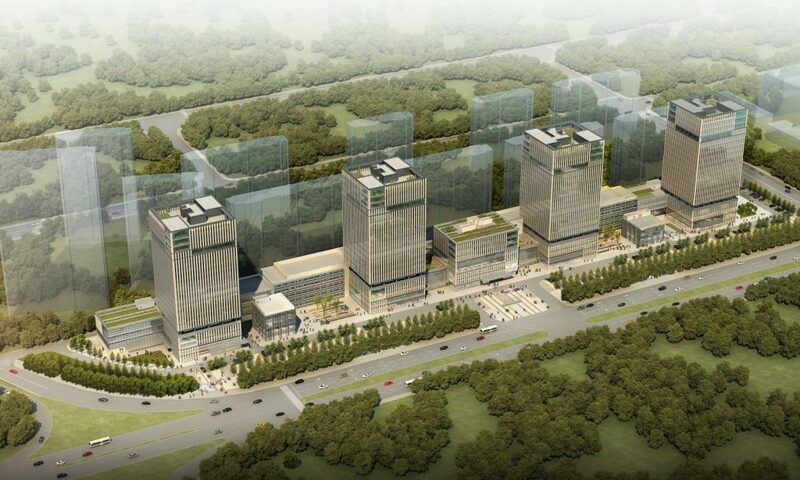 The comb-like composition of the buildings creates a series of U-shaped courtyards which are open to the avenue. They have been designed with care to achieve a comfortable scale and atmosphere for visitors to stay in the area and to maximize the commercial value. 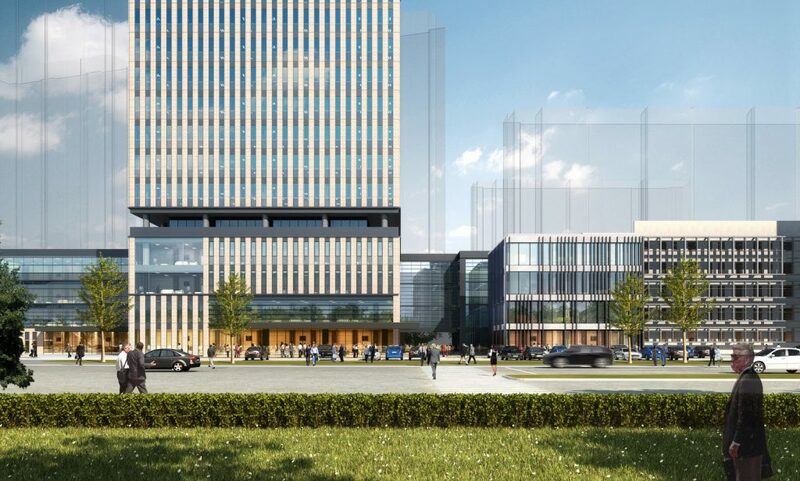 After a multitude of variants, the design finally solves the program by linking 7 buildings – 4 towers + 3 low-rise volumes – to a linear block in their back that contains mainly the parking. 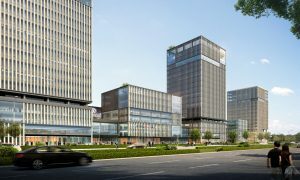 In this way the parking building has direct connection with the towers. 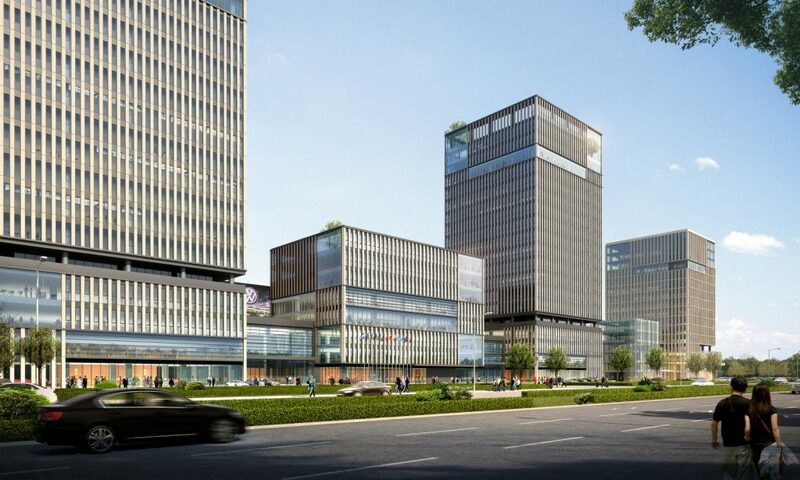 If Changchun is a city with important automobile industry and automobiles have changed the city and the city becomes highly dependent on automobiles, this project takes the challenge and accepts the automobile as one among several design elements. 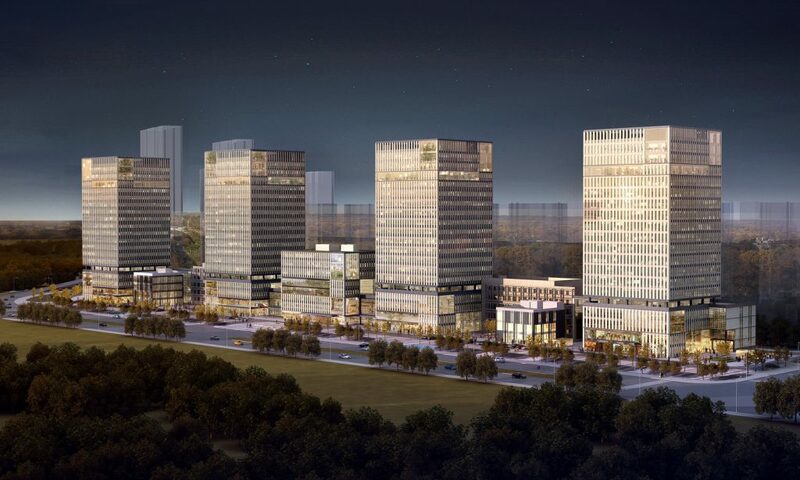 Main design motif has been the break-down and downscaling of the massive program into a series of distinct but interrelated volumes with a variety of public squares in-between, which in their interplay create a dynamic spatial composition. 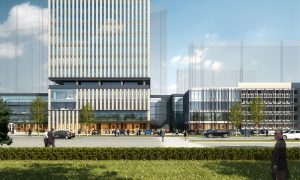 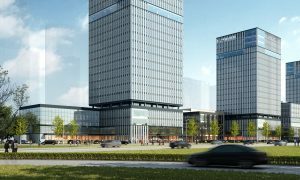 The office program is distributed into four towers, one of them raised to 100 meters height including a hotel to become a landmark for the area, visible from far distance along both the Fourth City Ring Road and Dongfeng Avenue. The lower buildings, up to 8 stories high, and the lower levels contain the canteen and restaurants, meeting facilities, logistics and call center, retail etc. 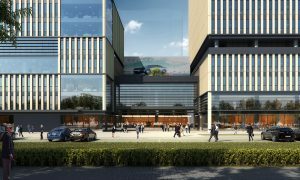 All the lobbies are facing the main road; the office spaces themselves are open for future modifications with flexible partitions and a carefully designed core to optimize the usable space. 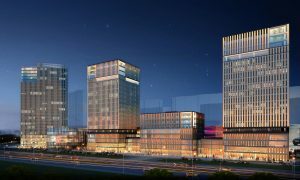 The entire design is based on proportion, balance and serenity, suitable for the North of China and for a city that is obviously marked by industrial production and by an urban structure both influenced by Western culture. 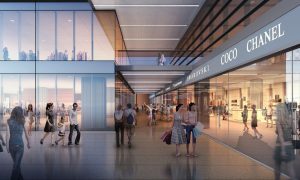 Clean geometry and limited material selection were strategic to achieve this goal.